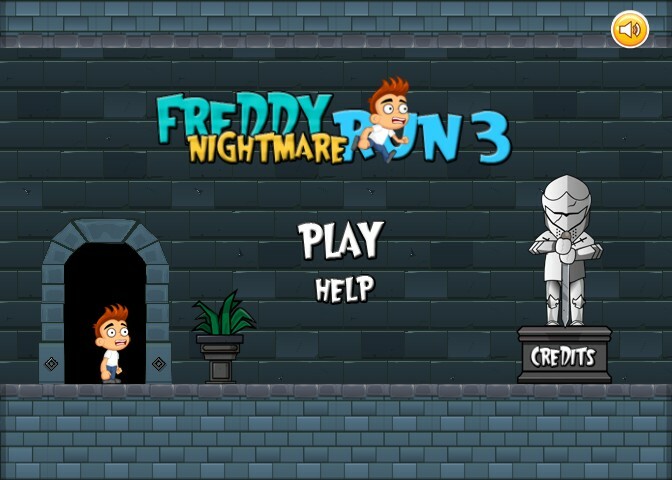 Freddy Run 3 comes as the 3rd episode of the Freddy Nightmare Run series and set’s a new standard in terms of quality for this trilogy as the main character just got a new set of abilities and has also received slight graphics improvements as well as new animations and behaviour. A totally new aspect regarding Freddy Run 3 is the fact that this game is built as a classic side scrolling platform game, thus discontinuing the running based type that we were used to in the first and second parts. The previous scenario yet still persists as the action takes place inside Freddy’s dream also. This time Freddy finds himself trapped inside a medieval castle ruled by the evil Skeleton King and must figure a way to get out. Right from the first steps he attempts to make Freddy discovers that the castle is haunted. A framed Skeleton King’s portrait hanged on the wall gets to life and an evil loud laughing sound is heard all over the castle hallway. Things gets pretty clear from now on, surviving inside the castle is going to be a real challenge. Walking further trying to find an escape route Freddy encounters lots of giant poisonous scorpions, spikes popping out the floor, massive rotating sawing wheels and many undead armed skeletons as well as lot’s of dangerous areas where he must perform perfect jumps in order to avoid falling inside the pits. As you play you start to explore different rooms and corridors inside the castle such as The Library, The Weapons room, the Large Hallway, The Dungeons, The Winery, etc each of this levels raising the flag even higher and putting even more stress on your survival skills. 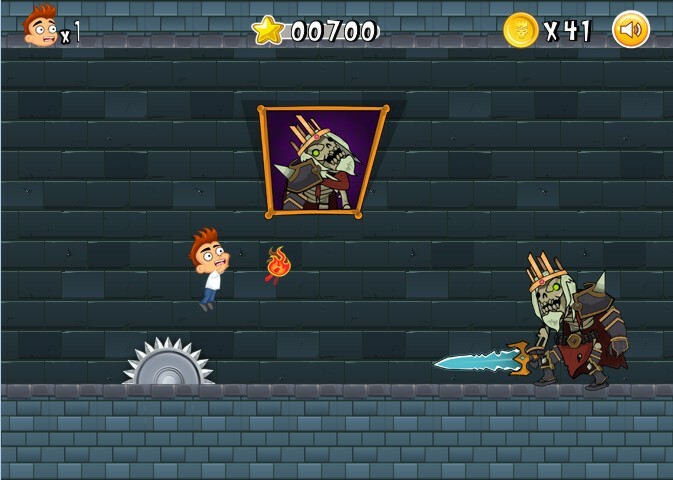 Almost any stage comes with new and more powerful enemies as well as hidden traps or puzzles that you need to solve. Personally I find the most difficult part of this game to be inside the Dungeons area where you must synchronize your jumps with surgical precision in order to avoid getting slashed by the guillotines. If you manage to get it through the Dungeons area and reach the elevators Freddy will step out inside the interior court of the castle to discover that he is hunted by even more powerful opponents such as the Skeleton Archers and Barbarians. These specific enemies attack and move a lot faster so you need to attack, retreat and attack again for up to three times before destroying them. After the Interior Courtyard stage is completed Freddy gets inside the castle again, walking his way up to the final level. 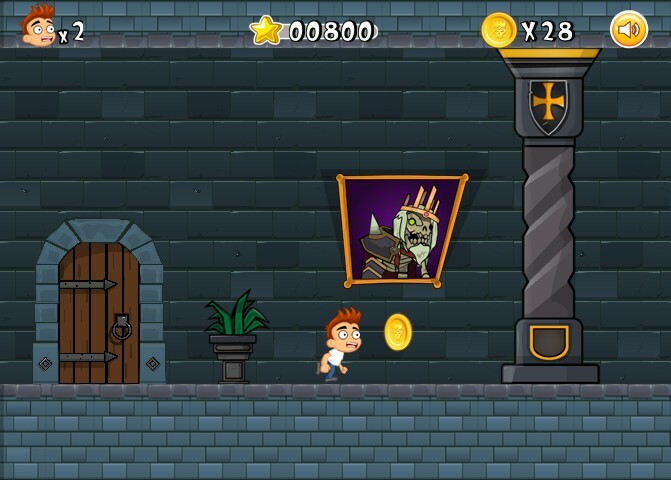 Here you will need to find 2 keys that will open some locked doors and grant you access to your way to victory. The second key is hidden behind a giant knight armor statue that you need drag across the floor in order to be able to reach and the key. 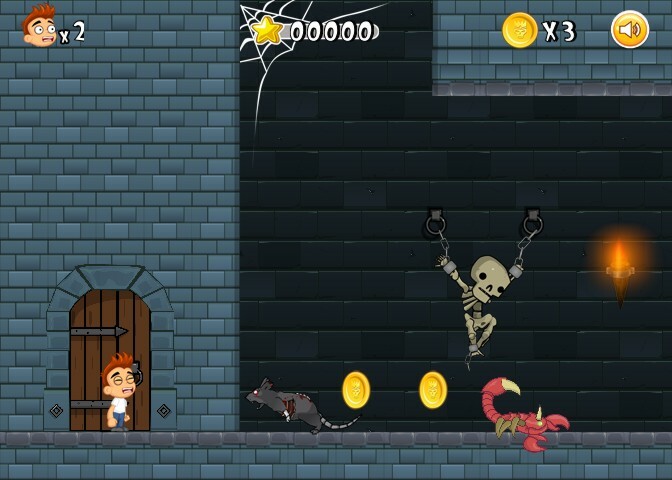 Getting the key grants you access to the King’s guarded room where the final battle against the Boss, the Skeleton King himself takes place. The final battle looks one vs one arcade style, yet the Boss is armed with a heavy sword and uses three different types of attacks such as launching rotating sawing wheels in Freddy’s direction, smashing the ground with his giant sword in order to provoke the roof to collapse and sliding on the floor against you with his sword upfront. The evil Skeleton King will require no less then 25 hits before he can be defeated, yet you will have to destroy him by using one life only. In order to finish the game you need good strategy and I found the best way to beat it by launching your fire while jumping as Freddy requires less time to reload this way. You can also stay stick to the left part of the scene as I found that no collapsing brick will hit you there. Probably this was intentionally built this way by the game author in order for the player to stand better chances. Overall I find this 3rd part of the Freddy Nightmare Run series to be one of the best platform games I played this month. Even though I believe that improvements can still be made I’m really pleased to see a small developer such as RunGames.org to release a nice game like this. Adding some achievements and a way to submit your score online would be my first suggestions, yet I’m more intrigued for now to see if a 4th episode will continue the saga!